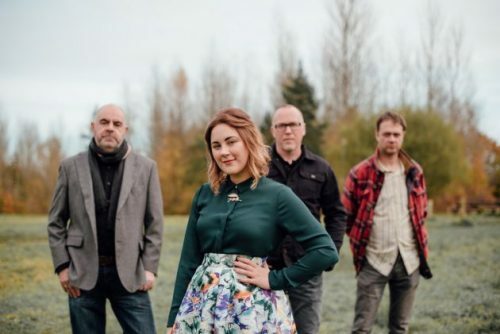 In partnership with Folk Phenomena, ahead of this weekend’s Derby Folk Festival we were delighted to interview, in partnership with Folk Phenomena, Kim Lowings, who will be performing at the festival in The City Marquee from 11.30am to 12.30pm on Sunday 7 October as part of Kim Lowings and The Greenwood. Me: For those who have not come across you before, tell us more about Kim Lowings and the Greenwood? Kim: We are a four piece band who bring together songs of our own creation and traditional folk songs that have a relevance today. The Greenwood started off in 2011 with songs I had been working on and developed with my Dad, Andrew Lowings. The sound grew from there with the addition of Tim Rogers on percussion and Dave Sutherland on double bass. Over the past few years we have had the pleasure of collaborating with some fantastic musicians through both live shows and recorded material. Me: You are a regular at the Derby Folk Festival. What do you love must about performing there and who else would you recommend seeing at the festival thus year? Kim: Derby Folk Festival has a great vibe about it. The line-up is eclectic and provides something for everyone to enjoy. If you get chance do try and get to see Harri Endersby, Greg Russell & Ciaran Algar and Sam Kelly & The Lost Boys. But the beauty of festivals is the chance to find a hidden gem you may not have heard of before so go and see as many acts as you can! Me: You perform several wonderful versions of traditional storytelling folk songs, but which is your favourite traditional folk song to perform and the story behind it? Kim: Folk songs tell tales that are often still relatable today. Our repertoire consists of songs with all kinds of stories and messages. It’s tricky to pick a favourite. I would liken it to having a library full of all the books you ever loved reading and having to choose just one. At the moment I’m enjoying performing The Cuckoo which is a warning song about the falsehood of lovers. In Greenwood style we have taken a song that’s not necessarily the most happy of topics and merged it with a driving rhythm and a full band sound that’s really fun to play live. Me: You have a very loyal fan base. What’s your favourite thing about your fans? Kim: We are blessed with some incredible fans and friends from all over the UK and internationally. The best thing about our fans is the way they come together as a community. We visit some pretty obscure and unusual venues on the folk circuit and it amazes me that people will travel no matter what to come and see us play a show. Those that do have built up friendships and share a mutual love of many artists on the scene. Me: One of our favourite songs of all time is your version of Girl’s Night Out, but if you were a witch where would you fly on your broomstick too on a girls night out and if you could have anyone fly with you who would you choose and why? Kim: Great question! I’ve been very influenced by the work of novelist and journalist Angela Carter who sadly passed away in 1992. She had some fascinating ideas on feminism and the crossover between our world and magic and fantasy. She travelled to many countries in her life and I’m sure she would have been game for flying broomsticks to somewhere inspiring perhaps the Carnival of Venice. Me: What’s up next for you & the band? For further information on Kim Lowings and The Greenwood visit www.kimlowings.com. 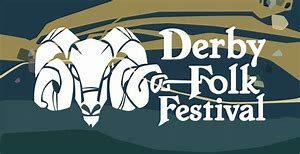 For further information on this year’s Derby Folk Festival, including the full line-up and to buy tickets, visit www.derbyfolkfestival.co.uk. For further information on Folk Phenomena visit http://folk-phenomena.co.uk.